You'll come in at 9am, get greeted by one of our friendly volunteers in a bright orange tee and pointed to some morning coffee and tea. While sipping on your tasty warm beverage, you'll bump into another attendee who's equally excited to code. Drake or Kendrick might be blasting the speakers, and the both of you might do a little fun dance. You'll sit down and that's when our speaker starts his/her 10-minute opening remarks to get you pumped for the day (short so you're not bored, but long enough for you to get some real advice). 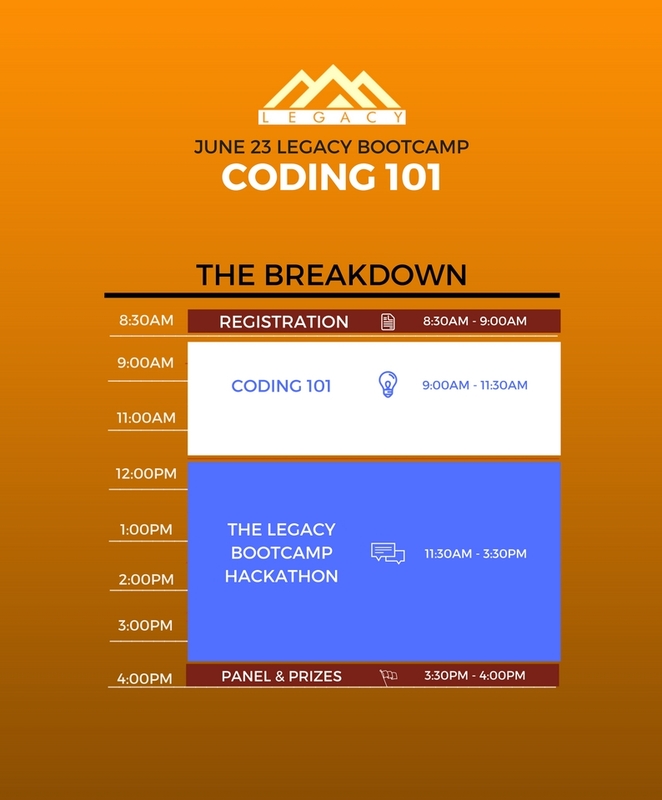 Two hours after, you'll know the basics of HTML and CSS and we'll have a 4-hour long hackathon. To end the day, we'll be having an expert panel to answer any questions you have. Popcorn style.